Jeff Beck’s Guitar Weeps… But Not Gently! There are many phrases that could be used to describe legendary guitarist Jeff Beck. The phrase we like to use the most is “Guitar Master”. Jeff Beck has proven over the years that he is able to express his emotions through his guitar. It’s one thing to play a guitar, but to actually be able to convey your emotions through your guitar, whether it’d be happiness, sadness, excitement, etc. It’s definitely a talent that very few others also have. In this video here, the emotion is definitely a mixture of joy and sadness. 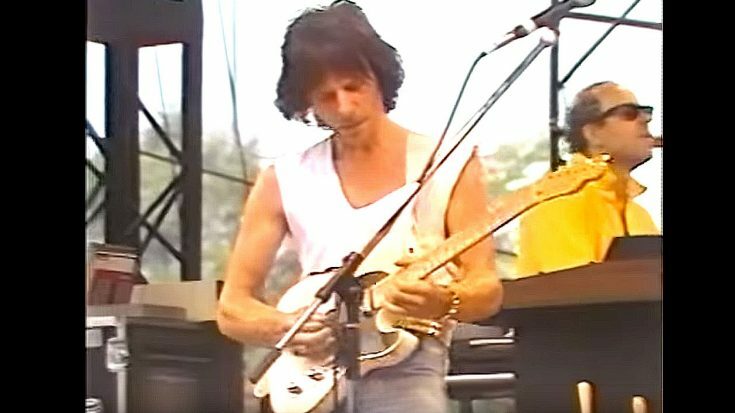 This video here is a performance captured in Karuizawa, Japan where Jeff Beck took to the stage to perform their classic hit Cause We’ve Ended As Lovers. As you could imagine, not only is the music amazing, but what Jeff beck is able to do with his guitar is simply incredible! Watch, and see for yourself!